CONCESSIO has provided solutions for over 150+ companies, spanning from small firms to Fortune 500 companies. 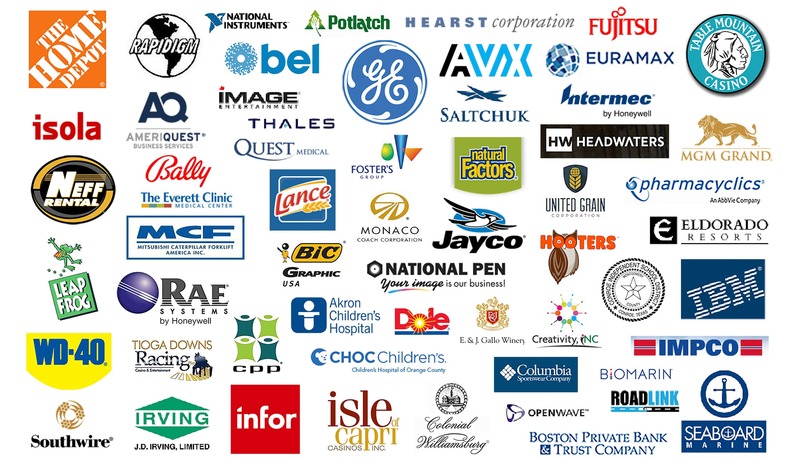 Below are only some of the clients we have had the opportunity to work with. [Concessio] is a hard-working professional [team] that knows what it takes to deliver tough client engagements. During all time that we worked together, [Concessio's Team] constantly exceeded expectations by going beyond his role by demonstrating his knowledge of the product. "Our trainer [from Concessio] was outstanding – He kept the class engaged at all times, which is no easy feat given the complexity and dryness of the subject material. We also received a comprehensive list of system improvement ideas from his observations, which is something we weren’t really expecting." "[Concessio's Team] can handle all financial processes challenges, effectively and immediately. We have a very complex and demanding environment. [Concessio] put in the extra effort with my team to resolve our challenges..."
"Had an auspicious opportunity to work with the Concessio team to develop the architecture for consolidated financial statements for over 40 companies with multiple currencies. Their business acumen, vast expertise, encouraging personalities as well as their analytical and methodical project management skills were extremely valuable for the project. It was a pleasure working with Concessio and I highly would recommend them." We have worked with 175+ companies on their corporate performance management and continue to work for many of them still. Check out the many industries and companies we've worked with. Natural Factors Nutritional Products, Ltd.
Avnet - BrightStar Partners, Inc.
© 2017 Concessio All Right Reserved.